I saw a page by Tiff awhile ago in the gallery and I loved the embossing look she got on her scallop. I asked her how she did it and then I tried it out myself. I thought you guys might like to learn too, so I made a video and also wrote up a little tutorial below. Hope you enjoy! Here's what the finished product looks like. Using Simple and Sweet Album Templates, 12x12 Frames, On a Sunny Day and On a Sunny Day Add-On by Kristen Aagard and Krafty Papers Bundle by Happy Scrap Girl. 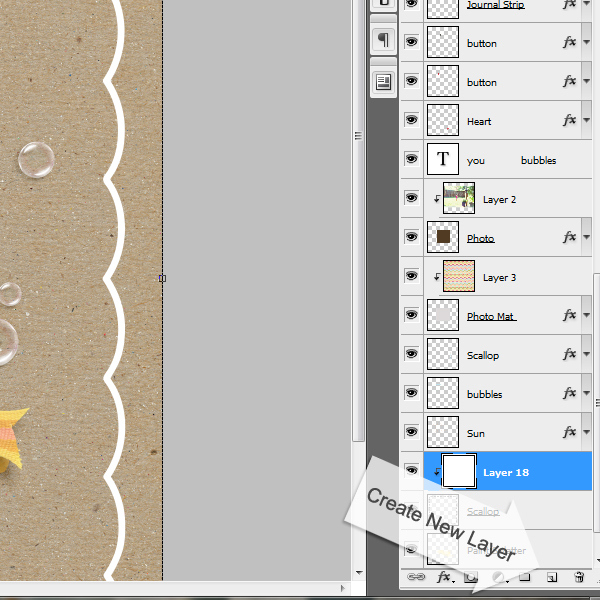 Here's where you create a new layer. 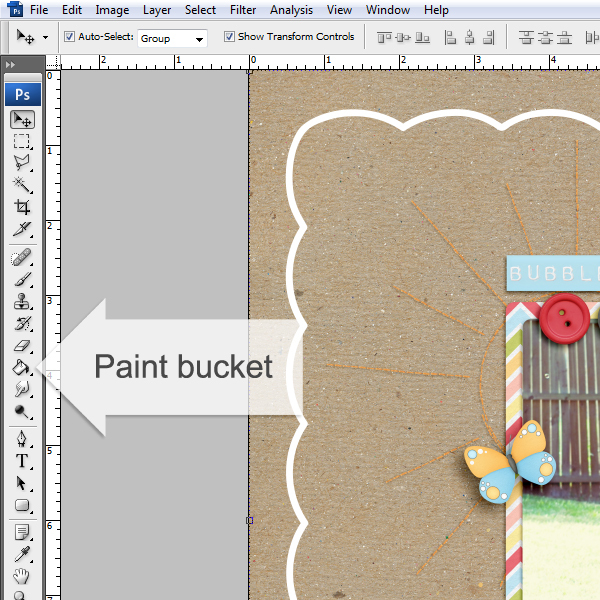 Here's the paint bucket (in case you need a reminder). 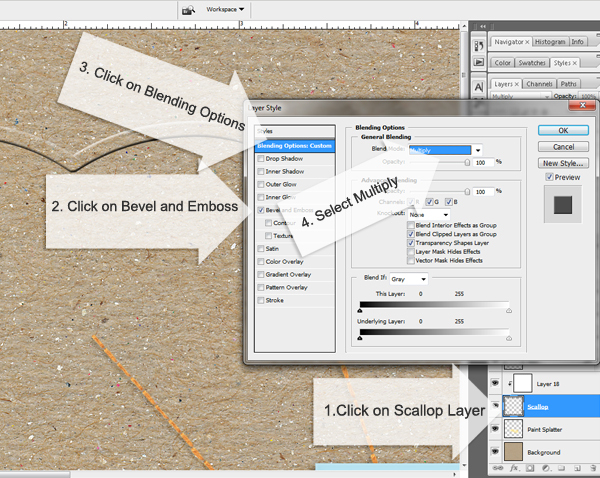 Then you'll double-click on your scallop layer, add your bevel and emboss, click on blending option and select multiply. 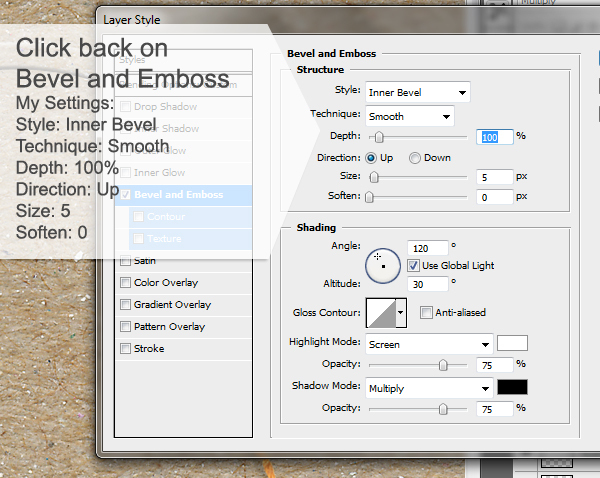 Then you click back on your bevel and emboss layer and play with your settings. In the video tutorial I mentioned how you will lose some of the effects of your bevel and emboss layer when you flatten and save your image as a .jpg. So what I do is I make my effect a little heavier/darker than what I want it to be. The settings above seem to work well for me. 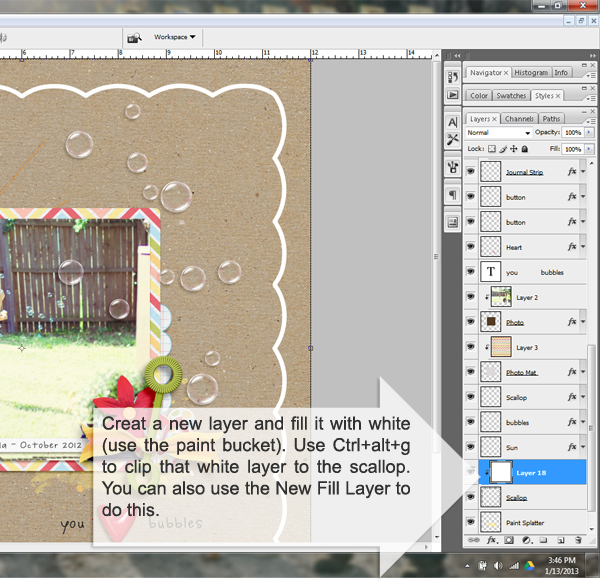 I hope this helps you add a little something extra to your digital scrapbook pages! Wow! I love the embossing! Thanks for sharing the tutorial!